The author of A Great Reckoning answers eight questions submitted by eight other authors. Armand Gamache's latest adventure, ominously titled A Great Reckoning, begins with the discovery of an ancient looking map in the walls of a Three Pines bistro. The mystery deepens when a copy of the map is found on the dead body of a local professor. A Great Reckoning is the 12th book in Louise Penny's bestselling crime Chief Inspector Gamache series. 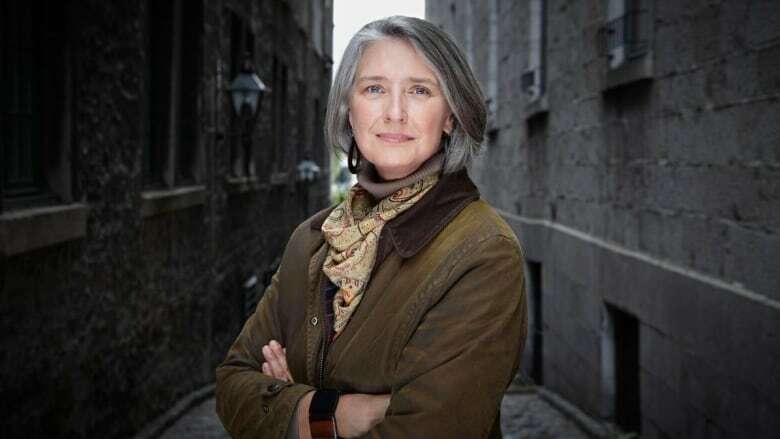 Below, Louise Penny answers eight questions submitted by eight of her fellow writers in the CBC Books Magic 8 Q&A. 1. Kim Thùy asks, "Have you ever fallen in love with a character from your own book?" Absolutely! I love them all, as friends — but I do think I'm in love with Armand Gamache. In fact, he was created to be "the man I would marry." As it turns out, I did marry him. He is inspired by my husband, Michael. 2. Rachel Cusk asks, "Have you ever tried to express yourself in another art form?" Every now and then I try my hand at art, before remembering I can't draw. And every few years I try something musical. The last time was taking singing lessons from a teacher who reassured me that everyone can sing. After moving down, down, down the list of songs until we hit "Happy Birthday," he finally suggested the lessons were over. 3. Pasha Malla asks, "Who is one writer, living or dead, who you wish could edit or critique your drafts?" To be fair, I have the most wonderful editor now in Hope Dellon, of Minotaur Books. But if I had to choose a writer it would be Josephine Tey. Her own prose was so clear, crystalline, and her plots both simple and ingenious. I'd love her thoughts and guidance. 4. Nino Ricci asks, "Even though you probably tell interviewers you don't pick favourites from among your own books because it would be like choosing among your children, do you in fact pick favourites?" I do — but I keep that to myself. 5. Ian Hamilton asks, "What was the worst review you ever received and how do you cope with it?" Aside from Amazon reviews, which can sometimes be just cruel, I really haven't had a scathing, hair-on-fire, lambasting from a professional reviewer. I guess the one that left me scratching my head was when a reviewer chastised me for breaking "the rules." I honestly don't think there are rules, and isn't that what creativity is about? Pushing boundaries? Not accepting limits imposed by others? Challenging myself and convention? 6. Jo Walton asks, "What's the thing you've written that has most affected other people? And how do you feel about that?" I honestly don't know. People are kind enough to write about a few things, or to just say that my books have kept them company in difficult times. I find that very moving and very meaningful. I often read for comfort too. For companionship when I'm lonely. For reassurance that the world is indeed OK, and that goodness exists. It is a great feeling of kinship, to know others feel the same way. 7. C.C. Humphreys asks, "Is there a golden age of writing you wished you'd been part of?" Absolutely — I still read a lot of so-called Golden Age mysteries... the British crime writers from the 40s, 50s and 60s. Dorothy L. Sayers, Agatha Christie, Josephine Tey, Michael Innes and Georges Simenon (French, but of that era and ilk). 8. Gary Barwin asks, "How or where does a piece of writing begin for you?" It begins, as Robert Frost said of his poetry, "As a lump in the throat." Some emotion deeply felt. A crime novel is not about the crime. That's an act, not a theme. I need to explore a theme, and finding one that sustains 100,000 words, and sparks a passion in me, is where it begins.